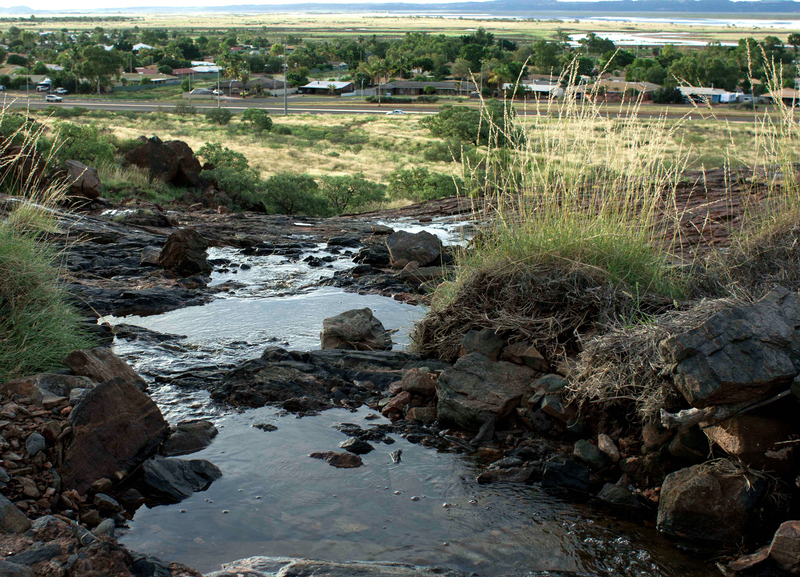 Karratha in Western Australia generally receives rainfall during the summer season and on one particular hot morning, the town was hammered by heavy rainfall whilst we were having coffee in town at Fiorita Deli. Awesome long black coffee by the way. We sat by the window talking loudly over the noise and watching over a short period of half an hour, the water level rise on the street and overflowing drains. 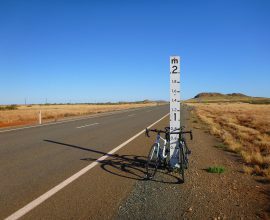 Lining Dampier highway is a series of hills networked by the Yaburara Heritage Trail which is a bit too steep for the mountain bike but great for hiking. With enough rain the a waterfall flows on the appropriately named Waterfall Trail of the Yaburara Heritage Trail which also happens to be the shortest of the trails. On the way home after coffee we sighted the water flowing and promised to return later in the day. After we did the housework we returned to the trail head of Waterfall Trail. 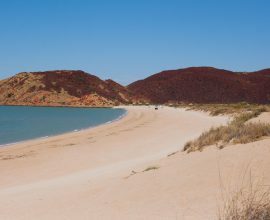 If you are staying in Karratha, it would be a 15 minute drive at the most from your accommodation to the trail. The trail head is accessible from a cleared red dirt area for cars to park, facing the hill go right, walking adjacent to the road. Another trail to check out which is very steep but very rewarding of views and Petroglyphs on the rocks, is the Rotary Trail, and that is straight up from the car park. 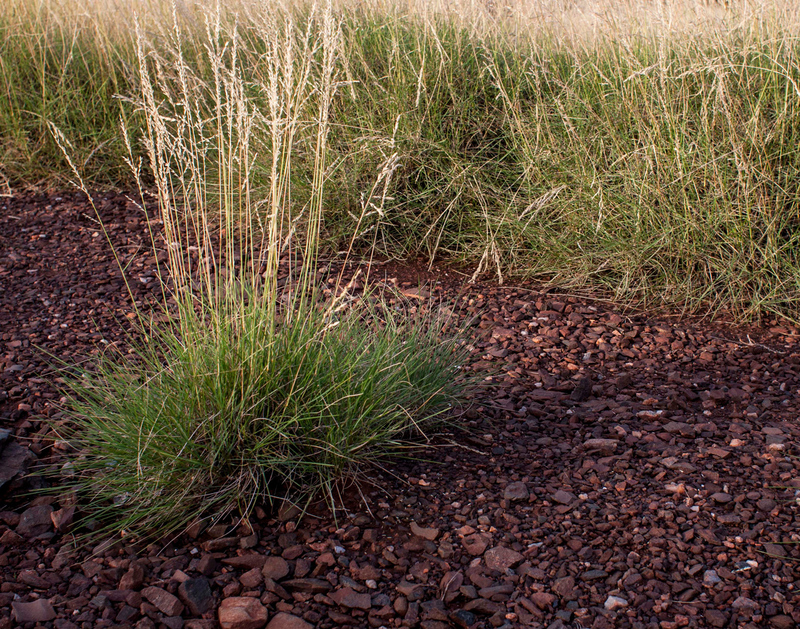 I love the clumped appearance of the spinifex grass which grows frequently in the Pilbara. 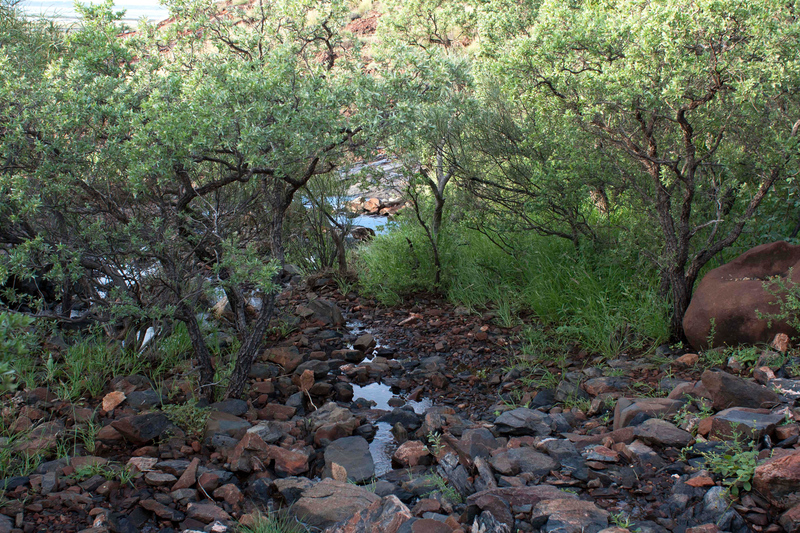 The rain had filled up some of the trail on the lower area but it was easy enough to work out where to walk. 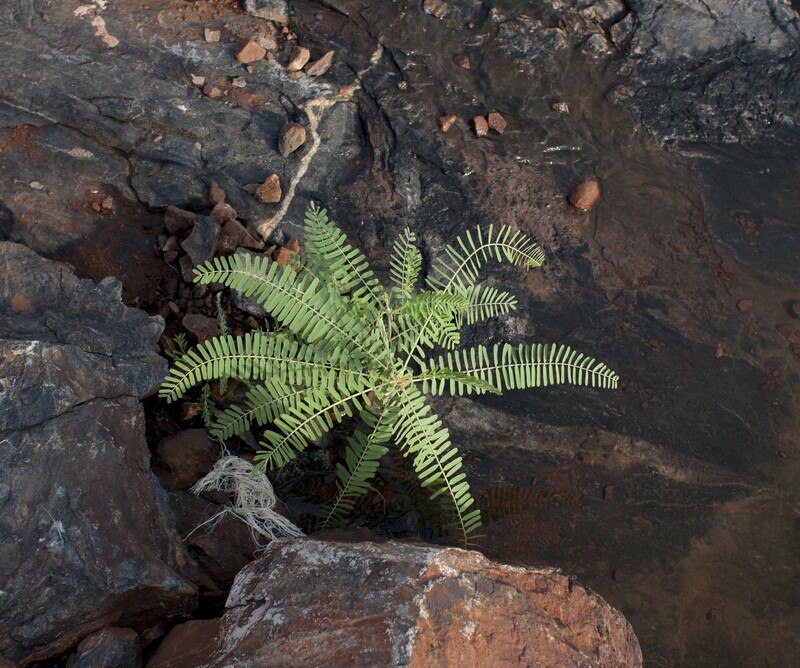 Pilbara’s flora is sturdy and resilient, some plants seed and die only to grow again from the seed when the rain arrives. My first thought coming across this random area of white shells on the rocky slope was that the tide must have been really high! This was not so true, the local traditional people would catch shell fish from Nickol Bay and bring to this area. Must have been a heck of a lot of food eaten in this spot! Although the water flowing had reduced significantly since our early morning coffee, it was still fun to explore the rocky area in full sunshine. 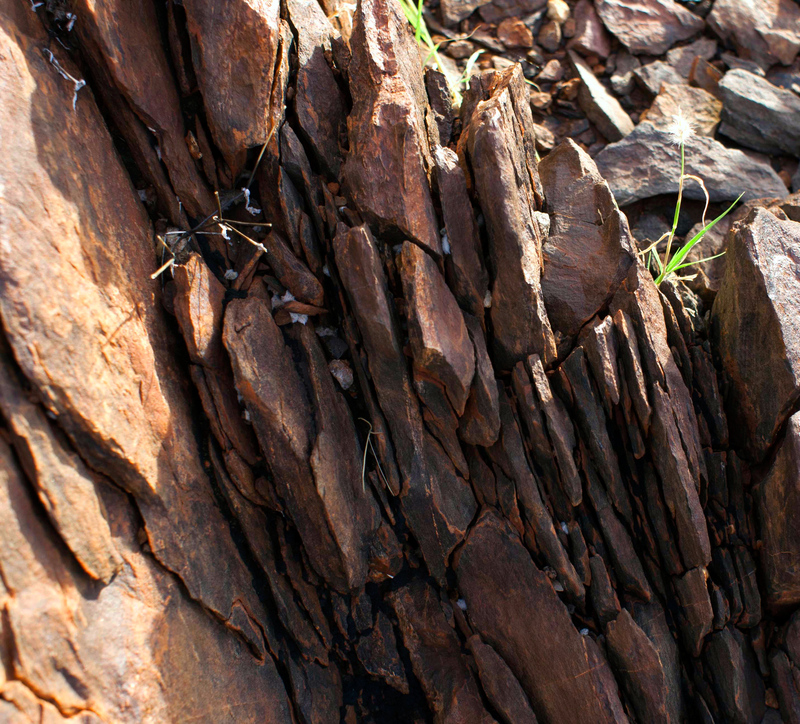 Even without a waterfall, the trail is worth walking to discover the details of some of the ancient rocks. There were plenty of rock pools as we made our way upwards through this secret garden, hidden in the landscape and only seen on foot. 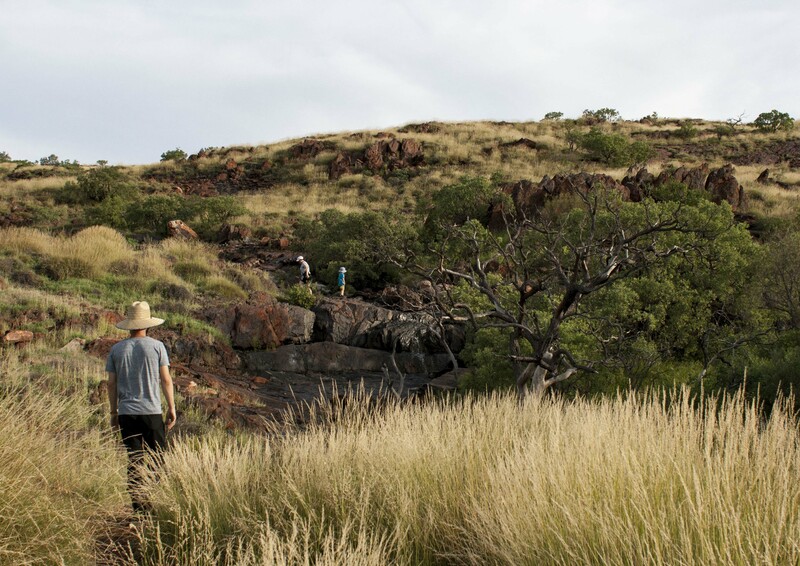 The Pilbara landscape can be deceiving from a far, the spinifex grass and rocky hills can often conceal all sorts of watering holes, fauna and flora. I think I’ve shared the below photo on another post but this is where I took the photo and it’s incredible that this rugged landscape is right in the town of Karratha. 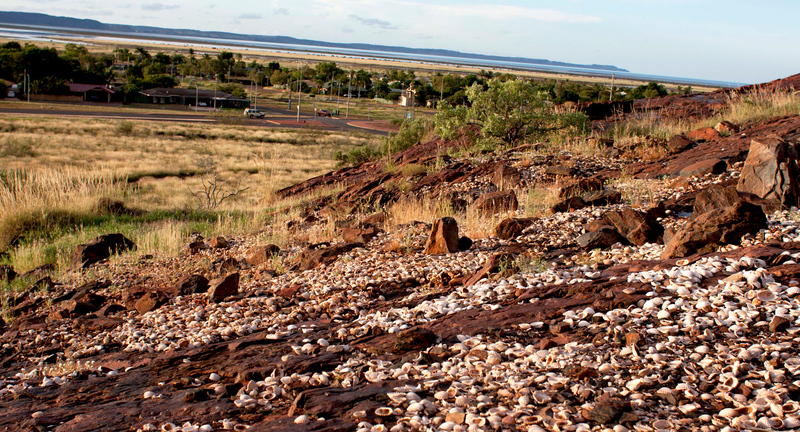 We arrived to the top of the hill with a view over Pegs Creek neighbourhood, Nickol Bay and the Burrup in the far background. 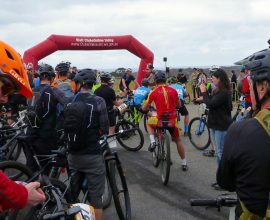 Those flats can be mountain biked in some areas which is really fun if you enjoy cross country. 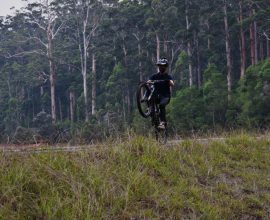 Earlier in the day, local Clinton Walker shared footage of the waterfall in full form! Big tip for living in Karratha is to never place priority on getting the housework done first because you may just miss out on seeing a waterfall! 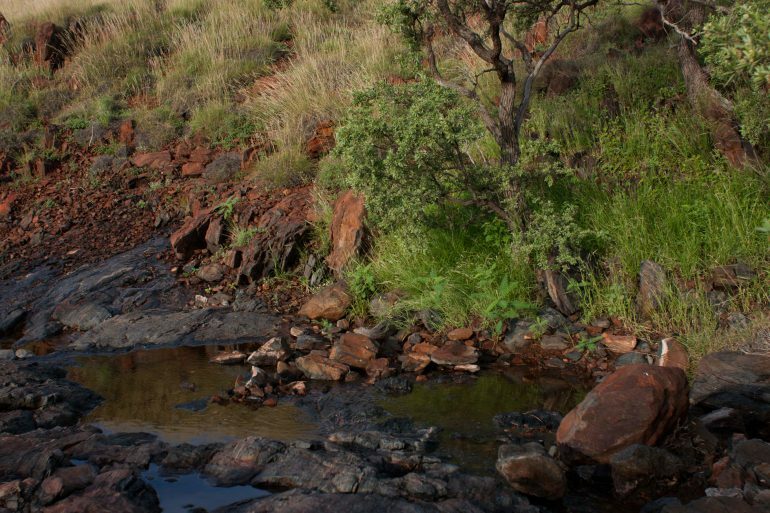 The most surprising thing being new in the Pilbara is to witness the sheer quantity of water movement, though this particular day was considered not a massive amount of water but certainly enough to create a waterfall that I would call impressive. 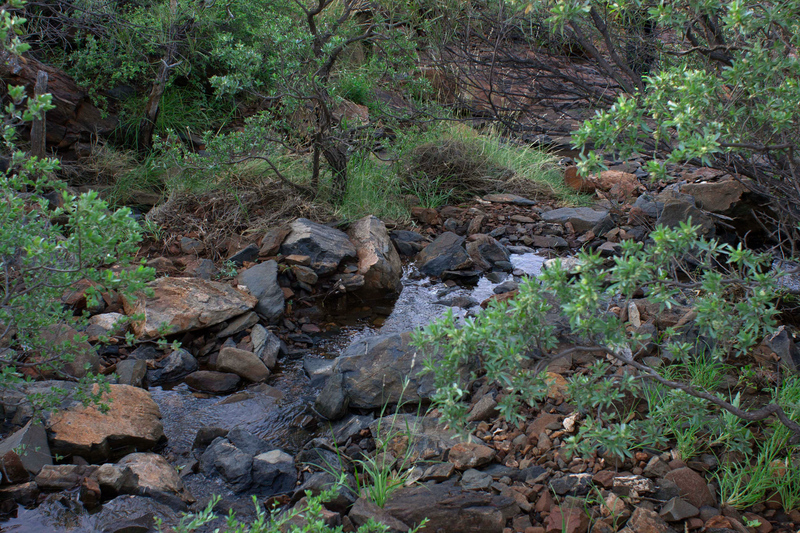 Water channels near houses and dry creeks flow fast and those markers you see on the highway come to be very handy. I always wonder though, where do the reptiles go, do they sense the rain before it falls? 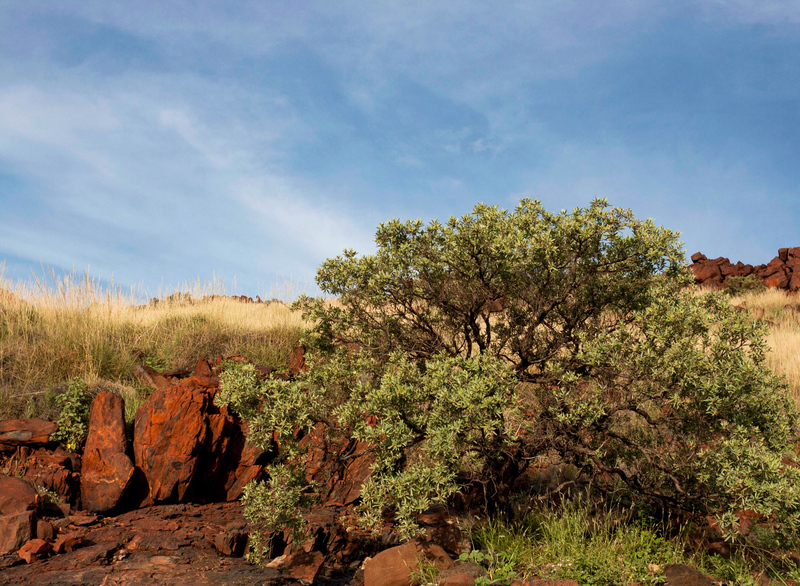 We had only been in Karratha a month and it was the beginning of many micro outdoor adventures. 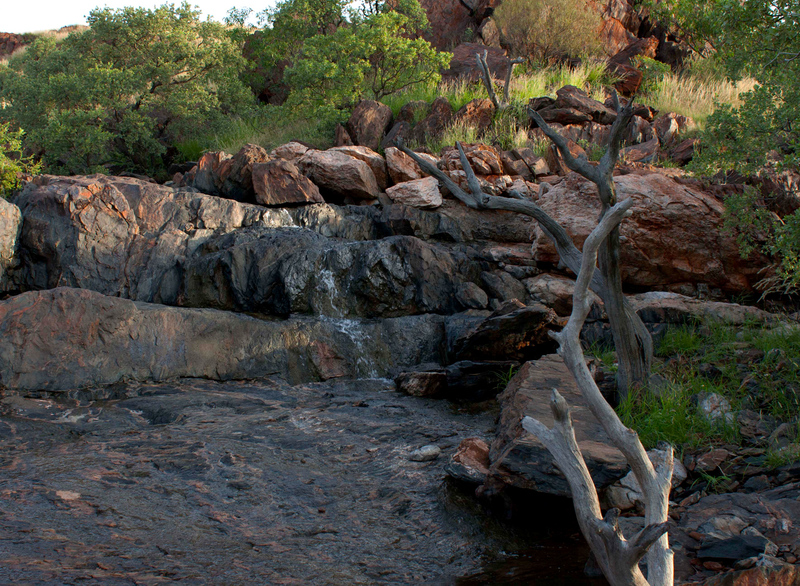 Other areas to find waterfalls provided there is plenty of rain is Joffre Gorge in Karijini National Park and Python pool in Millstream Chichester National Park.